As long as we have owned vehicles, we only trust the Bratcher's Midas shops because they have the best honest service... hands down!!!. When you are talking about our history, it’s hard to tell where to start. For this site we will start in 1985. 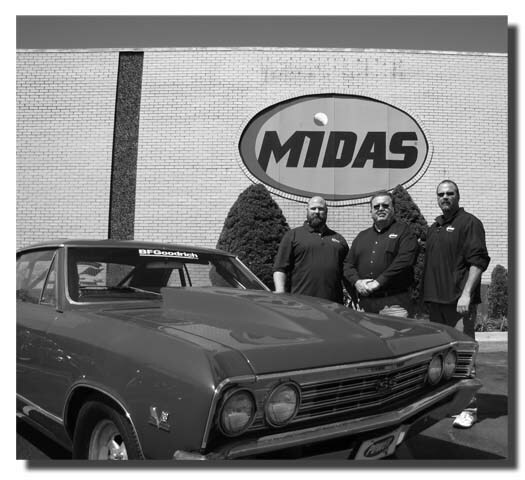 James and Dorotha Bratcher purchased their first business in Crestwood, Illinois on Cicero avenue and became Midas franchisees. The business started slow but that soon changed as the family collaborated with strong help from son Robert Bratcher and son in law James Allen and shortly later from late son James C. Bratcher. 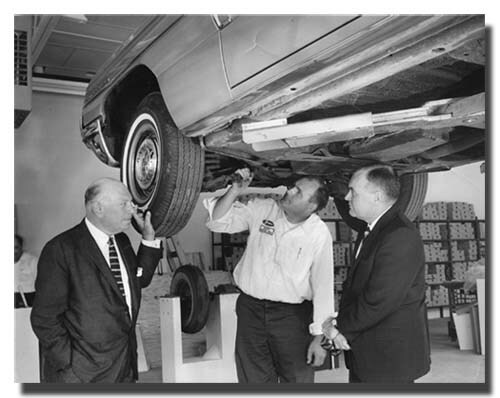 They quickly grew the business into a hot spot for car repair mainly the exhaust system. This is where the core of the families Midas business was born. In 1988 after three years of growth Pops(James D Bratcher) received a important phone call. The owner of Orland Park and Scottsdale in Chicago wanted out of the business and would like Pops to be his successor. Pops gladly accepted the offer. Now the family has three stores in three years and is beginning to establish a market. In 1989 Pops kept the ball rolling with purchase of Tinley Park. This was his first new construction and the store that would later be recognized as the top grossing Midas retail shop in the entire world. This solidified the South Suburban market as his. Things stayed quiet for about four years. In 1993 he acquired Bridgeview and in 1994 he took on another new project. he construction for the Palos Hills location started that year. This was the sixth store in under a decade. At this time James and Dorotha had 6 shops. They decided it was time to move closer to their market and sold their home in Lombard and moved to Homer Glen. Things were going smoothly and continued that way. In 2003, he purchased three stores in one deal. He bought two stores in Bloomington and one in Pekin. These stores presented new challenges because of the lengthy commute. Pops later closed one of the Bloomington stores. The next year in 2004, Pops purchased the Oak Lawn location. After this purchase he was the only owner of a Midas franchise in the South Suburbs of Chicago. In April of 2009, James D Bratcher aka Pops passed away at age 79. He will always be remembered as a generous, hard working family man with vision. In 2010 under the leadership of Dorotha, Bratcher Enterprises purchased a South Loop location at 510 Roosevelt in Downtown Chicago. This became the tenth location. In August of 2011, Bratcher Enterprises aquired its eleventh location. 158 West Grand Avenue in Chicago joined the continued tradition of the Bratcher legacy. Future plans of expansion are still in progress.